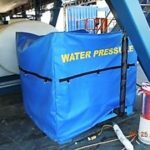 ALCO provides custom made covers for industrial and commercial customers in the transportation, storage, construction, and commercial industries. We ship our products anywhere in North America to meet your needs and timeline. We have extensive experience with quoting, selling, and servicing industrial covers for businesses of all sizes and all applications. 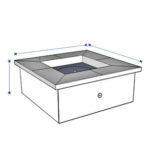 We offer a large variety of residential, commercial and industrial covers which are application driven. Our products range from standard stocked covers to highly specialized custom made covers which are suited for very specific uses. We strive to have supply all of our custom and standard products on time and under budget. Depending on the products that we are providing, we ship from locations all over the globe to ensure timely delivery to your facility. ALCO provides services to companies both large and small. Our staff of experts ensures that excellent services and products are supplied to each and every customer. We supply covers to almost all industries from food production facilitates to state of the art industrial manufacturing plants. ALCO is a key competent supplier to these companies and many more…. We hire the best possible customer service people so when you call you are greeted by a friendly knowledgeable voice. We are here to answer any questions you might have and assist you in any way possible. Feel free to contact us at any time, with any question. We value honesty, respect, fairness, truthfulness and speed of service. We want to provide you with unparalleled service before and after the sale. We offer competitive prices and heavy duty materials built for the rigors of industrial use. Our competitive pricing does not sacrifice quality, but rather exemplifies it.